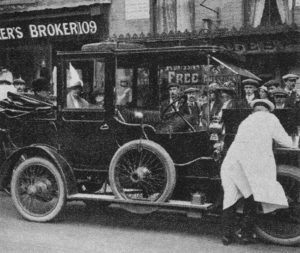 The Churchills’ 1911 Napier landaulette receiving chauffeur attention, with WSC and Clementine aboard, circa 1912. The dis­tin­guished his­to­ri­an Paul Addi­son sends along a minor but amus­ing tale of a Churchill motor car (prob­a­bly his new Napi­er). 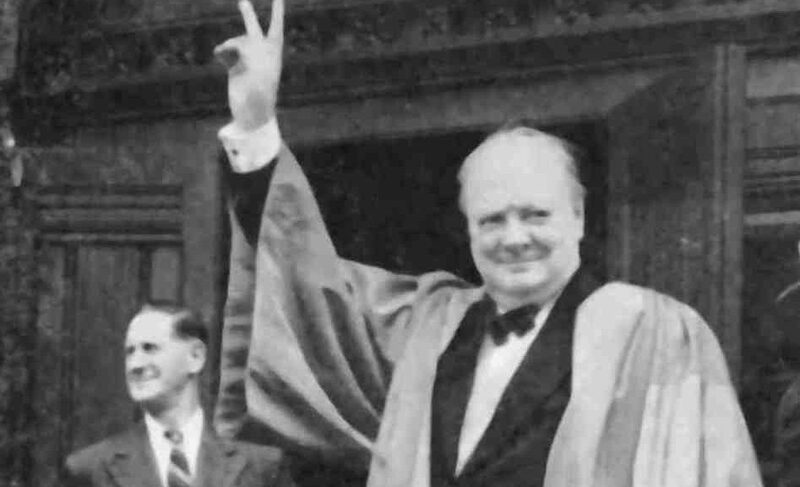 Churchill didn’t get his way, because he him­self wasn’t behind the wheel. Had he been dri­ving, he would like­ly have pro­ceed­ed to get round the obstruc­tion by dri­ving on the pave­ment (side­walk). This per­ilous endeav­or was wit­nessed first­hand lat­er on by WSC’s body­guard, Detec­tive-Inspec­tor Wal­ter Thomp­son.